LED lighting has quickly become the most highly sought-after lighting product for energy-saving buildouts and retrofitting. LED lights have incredibly long lifespans, are cost-efficient, and provide more lumens per watt than many other types of lighting solutions. Atlanta Light Bulbs carries all of the industrial and commercial LED light fixtures you need for your energy-saving project. We carry lighting fixtures from the most respected brands in the industry such as Philips, Atlas Lighting Products, Hubbell Lighting, Simkar, CREE, Lusio, Nicor, TCP, and other trusted names. Our inventory of industrial and commercial LED light fixtures is so diverse, we have a fixture for every application you can think of, whether you are lighting indoor spaces like warehouses and offices, or outdoor lighting spaces such as parking lots, complexes, and streets. Our LED fixture styles include area lighting fixtures, canopies, retrofit kits, wall packs, outdoor LED flood light fixtures, surface fixtures, high bay fixtures, high bay linear fixtures, roadway lighting, LED ultra thin wafer lights, light bars, surface mounts, under counter fixtures, warehouse LED light fixtures, low voltage 12V fixtures for outdoor use, and much more. Need to retrofit or upgrade? Our LED retrofit kits provide a convenient option, or you can pick up some LED panels and troffers, which will replace your 2x2 and 2x4 fluorescent fixtures. 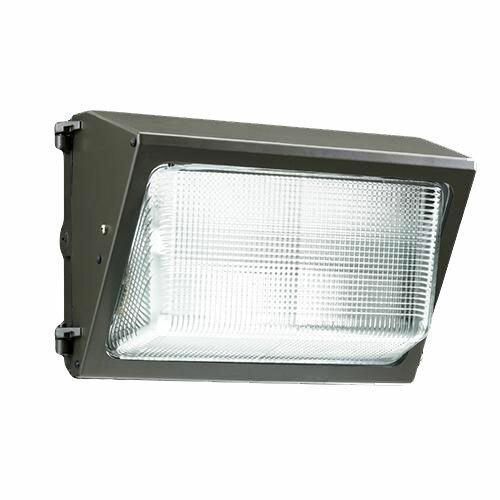 Our outdoor LED flood light fixtures are great for replacing lights with anywhere from 15 watts to 500 watts. Modern LEDs are very versatile and can produce widely varying color temperatures, beam patterns, and brightnesses. Because you can use them for everything, and because they are so energy efficient and last so long, they are the perfect option for cutting energy usage in industrial buildings, offices, and outdoor spaces of all types. For those looking to upgrade to industrial or commercial LED light fixtures with accompanying LED lights, Atlanta Light Bulbs is the expert to approach. We have 35 years of experience working with lighting contractors, businesses, and electricians to develop state-of-the-art lighting solutions. Today we are well versed in energy-saving retrofits and LED technology, and we offer useful services such as lighting energy analysis, energy-efficient lighting options, utility rebate calculations and advice, lighting installation, lighting removal, recycling, and project financing. If you own an office, retail space, warehouse, factory, distribution center, or any other commercial or industrial operation and you need to upgrade to energy efficient lighting, our team of certified light specialists can help you with a solution. Or if you already know what you need, feel free to browse our inventory and pick up the industrial or commercial LED light fixtures you require. If you have any questions about our inventory or products, or you'd like to talk to a specialist about a customized solution, give us a call at 1-888-988-2852 or send us a message and our professionals will gladly assist. Shop for your LED lighting fixtures today!